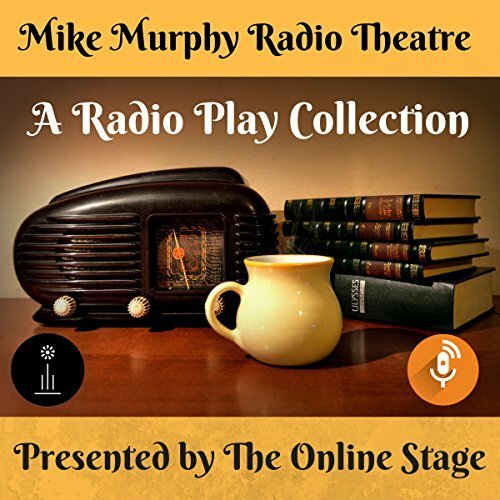 The Online Stage has released a collection of radio plays by Mike Murphy as A Radio Play Collection in cooperation with Spoken Realms on Audible. As a member of The Online Stage, Lee Ann has a role in the included play, The Return of Cosmo Draper. Six quirky radio dramas brought to you by members of The Online Stage. Featuring the voices of Amanda Friday, Brett Downey, Susan Iannucci, Alan Weyman, Leanne Yau, Beth Thomas, Lucy Perry, Ed Humpal, Charlotte Duckett, John Burlinson, Eileen Tipping, Denis Daly, Nancy German, Jeff Moon, Peter Tucker, Ben Stevens, Ron Altman, K.G Cross, P.J. Morgan, Marty Kryz, Maureen Boutilier, Noel Badrian, Bob Neufeld, Lee Ann Howlett, Joseph Tabler, David Prickett, and Tovarisch. Text copyrights held by Mike Murphy. Audio edited by Amanda Friday, K.G.Cross, Ed Humpal, and Eileen Tipping. This recording may be purchased on Audible here. Posted by lahowlett on December 23, 2017 in Uncategorized.